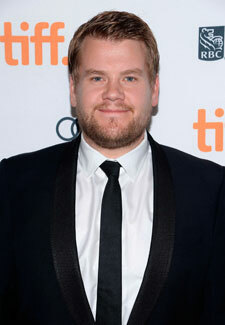 James Corden in talks for Fifty Shades of Grey! James Corden has joked that he’s in talk for a leading role in Fifty Shades of Grey the movie. As fans of the books will probably know English actor Charlie Hunnam had been signed up to play the leading role of Christian Grey however he recently dropped out of filming siting scheduling difficulties. Which means that the role is now open for another actor to step in and James reckons he could well be the man for the job. Frankie Sandford gives birth to a boy! Welcome to the world Little Parker Bridge!